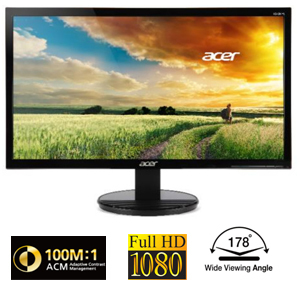 Advance your viewing pleasure with the Acer KN242HYL 23.8" Widescreen LCD display. It combines all the features you'd expected – stunning Full HD image quality, impressive sound quality, multiple connectivity options etc., in a slim, stylish form-factor. You can enjoy high-definition graphics whether you work or play. Plus, its Energy Star compliance helps you save money and energy. The stunning 23.8" display with 1920 x 1080 resolution delivers excellent detail, making it perfect for widescreen HD gaming, multimedia and productivity. The 100 Million:1 contrast ratio radiates the brightest whites and deepest blacks, giving you a crystal-clear viewing experience of all your content. The rapid 4ms response time reduces deviations in transition time to deliver high-quality moving images, bringing immersive graphics to your movies and games. Utilizing advanced IPS (in-plane switching) technology, the 23.8"display offers consistent image clarity and colors from 178-degree viewing angle vertically and horizontally. 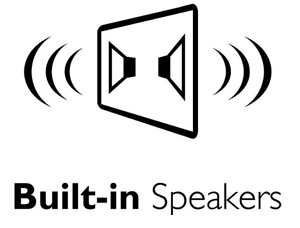 The integrated speakers provide robust, crystal-clear, and natural sound reproduction, so all of your scenes sound great. Enjoy greater immersion into your videos and games. The KN242HYL bmid LCD provides a rich set of video input options – including one DVI port, one VGA port, and one HDMI port, so you can easily power and extend the enjoyment from different video sources on a Full HD display. The KN242HYL LCD monitor also features a Kensington lock slot to protect your investment. Slim, Stylish Profile. Flexible Tilt Design. The sleek, slim design with an elegant stand seamlessly blends into any tight space, and takes up less desktop space for a cleaner-looking office. 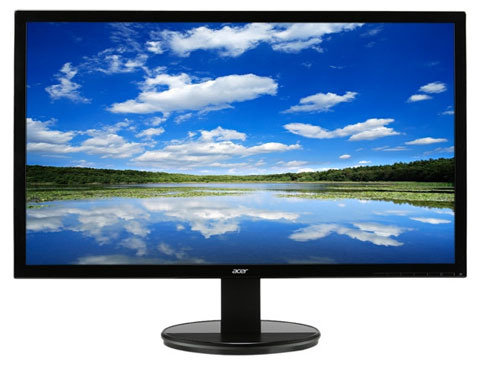 The ergonomic tilt from -5 to 25 degrees lets you interact with this monitor from all different angles. 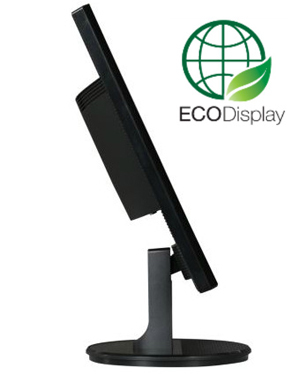 Environmentally friendly, the KN242HYL LCD monitor is designed to meet Energy Star standards, reducing energy costs and conserving energy.